Turtle Power: The History of the Teenage Mutant Ninja Turtles! It/they started as darkly weird, oversized comic book; became a sunny animated TV series with insanely catchy theme music; inspired three-live-action movies and a CG animated film and has been put into production as a Michael Bay extravaganza. It’s TMNT – Teenage Mutant Ninja Turtles – and its/their story is coming to home video in a ninety-eight minute documentary called Turtle Power: The Definitive History of the Teenage Mutant Ninja Turtles. 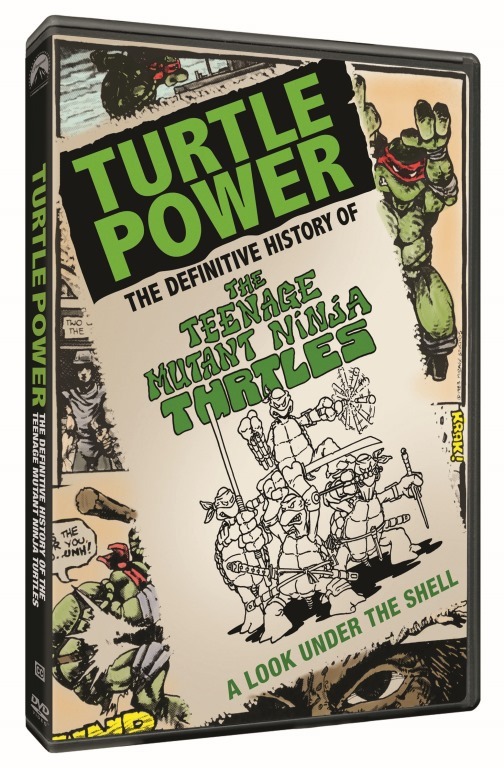 In stores August 12th, Turtle Power examines the 30-year history of the most unlikely of unlikely success stories. Check out the press release after the jump for more details. Previous PostVIZ Media Unleashes 500 Volumes of Manga Through ComiXology!Next PostAnime Roster Set for 2014 Japan Film Festival of San Francisco!